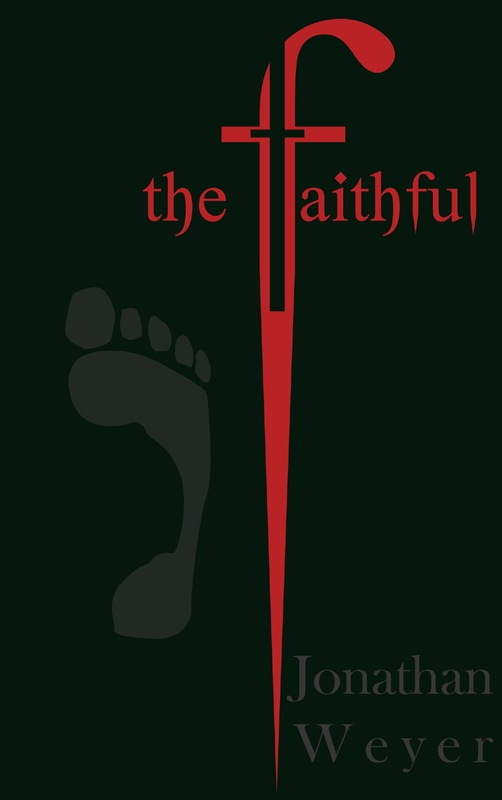 The Faithful by Jonathan Weyer is an absolutely stunning début novel in the emerging genre of Christian horror. While many may think that term is any oxymoron Weyer proves that not only do the two go together, but they can do it extremely well. Weyer’s main character, Pastor Aidan Schaeffer is undergoing a crisis. He’s lost his faith in God, is embroiled in the middle of an investigation involving the ritualized death of his former girlfriend, and is being attacked by demonic forces. Furthermore, some parishioners of his are having strange occurrences at their home and the wife is having strange dreams that seem somehow prophetic. Pastor Schaeffer’s former girlfriend was just one in line of women killed by a group seeking to resurrect an evil power. They are seeking to perform ritualized murders at places of power, drawing on the energy of the places to help them accomplish their purpose. The Faithful includes a modern group whose purpose is to stop demonic actions. They are referred to rather tongue-in-cheek by Pastor Schaeffer as Ghostbusters, though he is warned not to use the term in their presence as they would fail to find any humor in it. Thought at first to be ruled against by the Bible, Aidan is shown that is not what the Biblical passages in reference actually say. Men, and women, have to have a way to combat evil and this group goes as far as possible in their attempt to stop the evil permeating their town from coming to fruition. Weyer’s skill is unsurpassed as he spins a tale of the macabre that leaves you turning each page desperately longing for more. Once I started the book I couldn’t put it down except to go to sleep at night. I found each page leading me further into a mystical and at times terrifying world that showed glimpses of the other side of goodness, kindness and Godliness and left me hoping the good guys would prevail, even though this is far from assured in this page-turner. Jennifer traced a finger along her scar. “What, are you trying to establish my alibi? Am I a suspect or something? I said, staring at them, not quite believing the direction the conversation had taken. “Yes, actually, that’s exactly what we are trying to do?” Lieutenant Weaver spoke. The Faithful by Jonathan Weyer is a must read for this fall season. Curl up under a blanket beside the fire, relax, as much as possible given the nature of book and enjoy the thrill-ride. Just make sure you leave plenty of lights on.